Decorating a room well takes creativity, focus, discipline, and time. They’re not sure of their style. They want something unique and high quality (i.e. not Big Box). They have begun to decorate without having a clear plan in mind — they get into trouble one-offing every decision until they have accumulated a hot mess. They just don’t have the time to do it but are tired of living in bland surroundings. It’s the reason why I have cleaners come — I could do it myself, but I feel like my time is better spent elsewhere. Furthermore, one of the wonderful things about working with a designer/decorator, beyond her ability to source envision/ innumerable fabrics that would cost you a minor fortune to get samples of from Decorator’s Best, is her access to various workrooms that only work with “the trade.” Custom window treatments, pillows, chair cushions, banquettes, you name it, and a designer can get it. Before my days in the design trade, these workrooms — when I could find them — with their lovely pricing and ability to customize, would not even talk to me. Said they only worked with trade. I understand why now, but I was frustrated back then. However, there are many of you out there that do want to be your own decorator and project manager (perhaps why you are reading this blog!) — you just may not have the resources to get the look you want, not being in trade. I was in your shoes a few years ago, and I’m going to share a few of my pre-trade-days resources with you! When beginning to decorate a room, lots of people begin with the big items — the bed, the sofa, the dining table, the paint color. They rarely think about the whole room. This my first and biggest tip — think of your whole room — layout, inspirational images, color/pattern launchpad (from a fabric/rug/art), paint & fabric scheme, furniture plan — before you start buying! Now — the simplest way to a coordinated scheme. Highly patterned rugs or wallpaper — two of my favorite design elements — are AMAZING, but again, we are talking about the easy route to coordination, not how to get your room on the cover of a magazine. You can always pretty safely throw in a patterned/colorful ottoman or accent chair without danger. Take a look at this wonderful family room. Lovely family room, and very appropriately fall-decor cozy, with its beiges and aubergines! 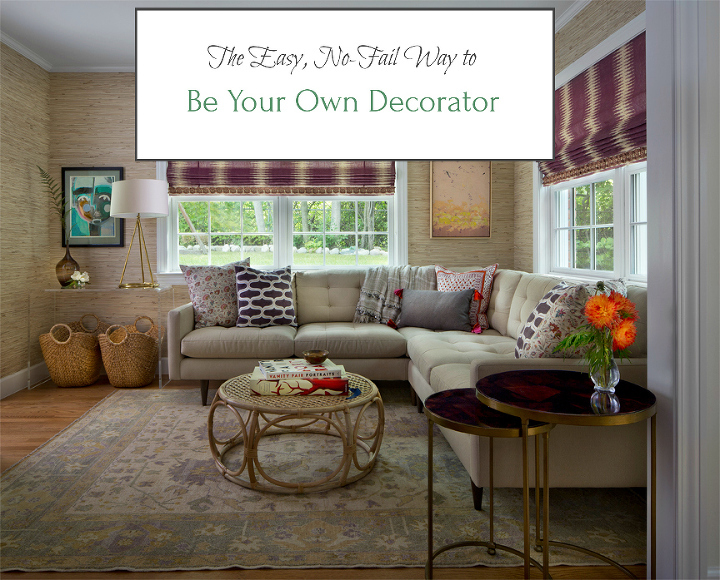 Patterned pillows and window treatments are also the easiest things to customize without a decorator’s trade resources and workrooms. You won’t have quite the selection, no matter how much you surf online, nor will you have trade discounts or pricing, but you can go it alone if you have the desire. I have a few favorite sources for pillows that are not trade-only. I really prefer to have down fill, my feature fabric on both sides (in case of spills, fading, life in general), a hidden zipper, and a welt or decorative trim of some kind. Many things you find on Etsy and others will not have all of these nice finishing options, but you might save some money if they don’t. If your priority is just to have a pretty face fabric, then knock yourself out! Spark Modern has been on Etsy for a long time, and they are a favorite amongst many decorator-bloggers because they make pillow covers in a lot of the hot fabrics from Peter Dunham, Zak & Fox, Kelly Wearstler, Schumacher, and more. I love that they also have “curated collections” of pillows, so that you don’t have to spin your wheels taking hours (and it can take hours) creating the perfectly-coordinated-but-not-contrived-looking assortment of pillows. Some of the collections below. 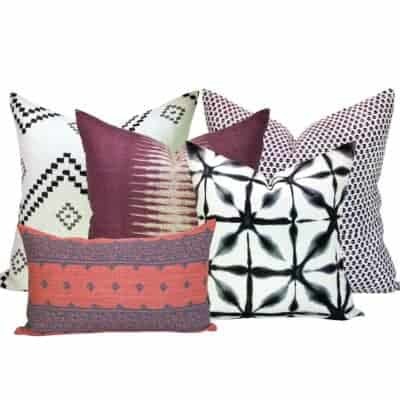 If you think that $100+ per pillow is crazy, remember than many of these designer fabrics, especially the hand block print ones, go for more than $100/yd wholesale. Many of these fabrics are not available at all outside of trade sources — i.e. you can’t get them on Decorator’s Best or Inside Fabric. Add in curation, fabric markup, labor, etc. and you understand the price tag. They do the whole mix of color/pattern/scale for you, so that you know it’s right and you don’t waste money on mistakes. Erin Gates of the famous Elements of Style blog has begun creating pillows and other accents, available on Wayfair. Thus far, she has done two collections, and once they sell out, they’re gone. Many are already sold out, but there are still some great options. Most are one-sided, BUT they have a nice welt, include a hidden zipper and a down insert, and are very stylish. And priced at less than $50, you cannot beat them for an accent here or there. A selection below. 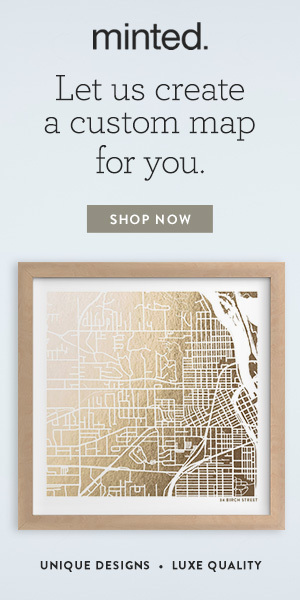 I even picked up one for myself (lazybones decorator — when it comes to my own house — that I am!). Please pardon the bad cell phone pic. And a long-distance client from California just send me a pic of her living room we’ve been working on, where I recommended an Elements pillow combined with the custom pillows we had made for her. The Elements pillow is the coral Greek key one on the left (from Erin’s first collection, now out of stock). Hopefully we’ll get this project photographed next spring and I can do a true reveal for you! Prior to getting into decorating professionally, I often used Tassel Outlet (along with Lewis & Sheron Textiles) as my go-to for trim, especially those wide tape trims that make pillows and simple solid drapes and Roman shades gorgeous. You won’t find the über-thick, super luxe trims are that are gasp-inducing, but you will have a nice selection. For example, this Fabricut trim that I used for a client is available via Tassel Outlet (at a markup of course, but not too much). I’ve also used the below 2.5″ one from Tassel Outlet on simple linen drapes made from linen from Gray Line Linen. This is a steal at $13.50/yd for something so wide and the unusual colors combo. I’m not sure who makes this one. Put some trim on your pillows. If you don’t have a local lady who does window treatments, there is always Loom Decor. They have a number of fun fabrics from which to choose and a great turn-around time. There is Calico Corners. You can bring your own fabrics and trims (like from my discount sources), but do yourself a favor, and wait for the promotional sales. They’re a fortune even then. There is Smith & Noble. Not a huge fan of the fabric shades, but they have decent drapes and natural shades and some ok fabrics and trims here and there. Also a very good idea to wait for the 25-30% off promos. And then there is Lynn Chalk. Lynn runs a full-service drapery, etc. work room. Her stuff is BEAUTIFUL. She works directly with designers and has had her creations featured in numerous magazines, BUT she also works directly with consumers through her Etsy shop. You can buy pillows and window treatments just as you see them on the site, or you can purchase trade fabrics through her and have her make you something new. Her pillows and cushions are also of the highest quality workmanship. So, love the room originally pictured? Let’s do a get the look. The Serena & Lily coffee table and rug are on sale this weekend! Hi Julie. You caught me out! You’re right, the image is misleading, whereas the title of the post is more what I wrote about — getting the designer “look” rather than a decorating how-to from start to finish. Blame “Outlander” — I didn’t editorially fine tune as much as I normally do. Sorry! The problem is that a step-by-step guide to decorating would be a very long post, indeed! And my blogging mentors keep telling me I need to come up with some sort of “freebie” for subscribing to my blog so that my list can grow, and this is one of the things I’m considering. Each space can pose its own challenges, as you are finding. For DIYes, it is daunting to pull the trigger on some items for fear of making mistakes. That’s often when I get called for consults, which I charge for at an hourly rate. If you have a good sense of your style and just need help making a few final decisions with more confidence, this is something you could consider. Beats buying a $500+ chair only to find that the scale/pattern/you name it is wrong.